It’s not hard to find good Italian in Chicago. 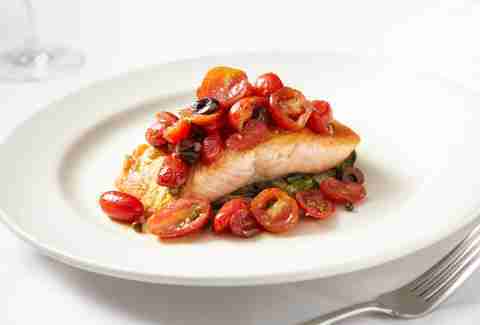 Acclaimed restaurants serving refined pasta dishes and rustic Tuscan roasts dot almost every neighborhood. When diving into the city's Italian heritage, you don’t need new twists or human-sized portions, you want a plate of chicken parm that will feed you for three days. You want crowded, sauce-covered tables, checkerboard cloth, and waiters who pre-date color TV. You'll find it all at these old-school Italian eateries in Chicago where the food is better than your nonna's (even though you will never tell her that). 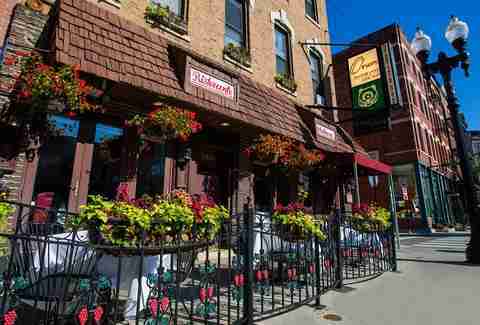 While The Rosebud may now be the bedrock of a local restaurant empire, its original location in Little Italy rightfully draws in Chicagoans looking for heaps of pasta, baked clams, and some of the best meatballs in the city. The bustling quality of this wood-paneled throwback space might bother you in another restaurant, but here that brash, energetic liveliness only adds to the character. It’s notoriety as the oldest Italian restaurant in Chicago could have spoiled Italian Village's destination reputation, teetering into tourist trap territory, but this third-generation family owned spot has stubbornly and righteously clung to tradition. 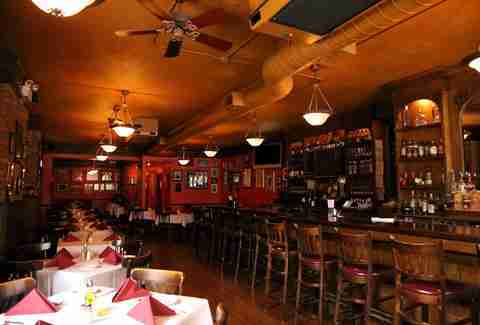 It now encompasses three restaurants, but the original dining room still sports the unselfconsciously unhip faux-Italian decor that it has for years. As for food the house specialty is the chicken Vesuvio, supposedly the original, created by founder Alfredo Capitanini from a recipe he brought from northern Italy. 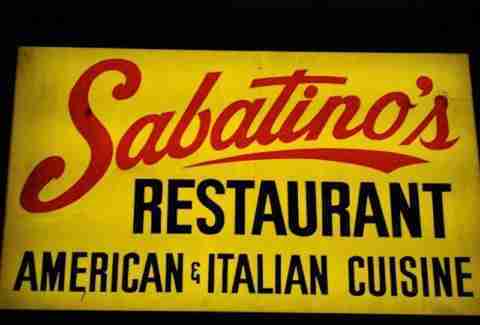 Old enough that the current owners don’t even remember when the restaurant was founded (probably 1969), Sabatino’s is a high-end Italian fantasy straight out of the '70s in the best possible way. This classic supper club is owned by two brothers who landed the joint after coming over from Italy and spending years in the kitchen at the Italian Village. The plates of meat and sauce are simple, straightforward, and, according to them or the legion of regulars, taste exactly the way they did 35 years ago. 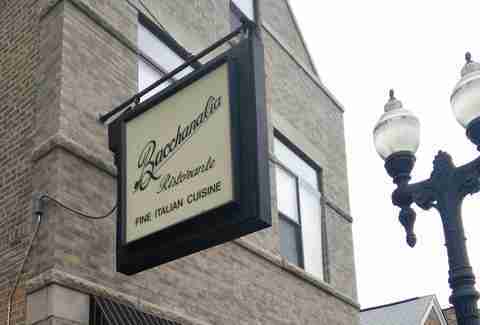 Italian connoisseur will love Bacchanalia as soon as they step in the door. A Pilsen staple that's been drawing pilgrims from all over the city since 1979, Bacchanalia guides its diners through a narrow unpretentious bar area that’s coated in old neighborhood charm. Still family owned, it’s hearty Italian classics like veal scallopini are based on homestyle recipes that the original founder Belfonte Pieri brought with him when he immigrated from Tuscany in 1958. 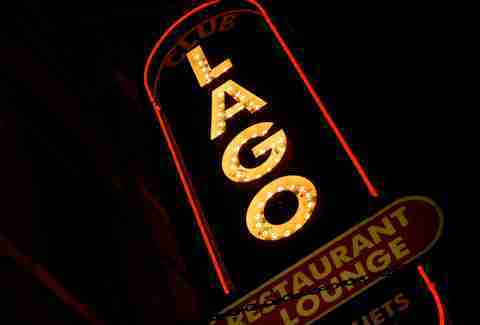 A throwback to the era when River North was patrolled by warehouse workers and glad-handing politicians instead of finance bros and social climbers, Club Lago proudly holds on to its working-class roots with big plates of spaghetti and meatballs or overstuffed lasagna at a price that would be reasonable anywhere in the city. Although it was damaged by an explosion a few years back, the current owners, grandchildren of the original founder, made sure the restoration maintained the same red-leather simple charm, and of course the approachable attitude and great Martini’s never went away to begin with. Taylor St may have taken over the Little Italy moniker but it's Oakley Ave in Pilsen that has the oldest Italian hood in the city. While the old residents may have moved on Bruna’s absolutely has not, many of the menu items are older than most of the other restaurants in Chicago. Regional northern Italian specialties mix with Italian-American fare and they don’t really have a specialty because everything is that damn good. Paintings and leather chairs fill the dimly lit dining room that hits the spot between passé and perfect. 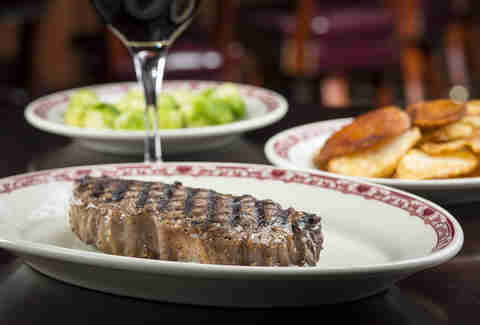 Gene & Georgetti may be a steakhouse first and foremost, but don’t let that distract you from it’s Italian heart. Generous slabs of steak are served alongside mussels marinara, fried calamari, and chicken Parmesan, a fantastic reminder that the Italian impact on Chicago cuisine goes beyond pizza and pasta. Burgundy carpeted and closed off from the outside world this is as old-school Chicago as it gets. It’s hard for places like Gino’s North. While other old Italian spots have survived on their adherence to an experience that most places simply don’t offer any more, the city is still full of Deep dish restaurants that sling a solid pie at a decent price. But with so many of them chains it’s comforting to see a true neighborhood spot like Gino’s still thriving after so long. With its big glass-backed bar complete and greco-roman statue it’s a throwback to the gaudy delight of the '60s and '70s, not to mention the pizza’s crafter is Peggy Gelsomino, an 80-plus-year-old grandmother who still makes all of the crusts by hand. When an exterior that looks like a dive bar turns into an elegantly simple interior like at Mart Anthony’s you know you’re in for a treat. 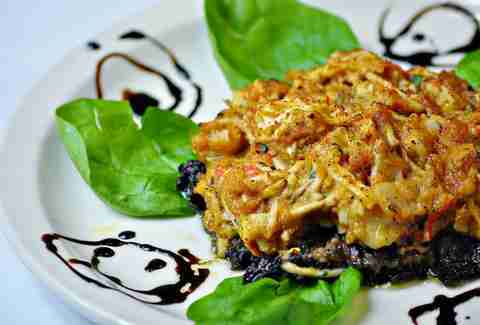 The holy Italian trinity of friendly family-style service, relaxed atmosphere, and overstuffed entrees has been perfectly represented at this cult favorite for over 30 years. Devoted regulars followed animated owner Marty from the old location on Randolph St to it’s new West Loop digs, and continue to clamor for their signature black linguine or steak Vesuvio. A sparse no-frills stalwart of Little Italy -- that is still-cash only despite this being the year of our lord 2016 -- Tufano’s wins accolades for not only its wonderfully stubborn old-school vibe but also for the fact that it may be the only place in Chicago where you can get a decent plate of pasta for the same price as a Venti double-whip mocha and a cookie.The service has a brusque proficiency, the dishes are a single shade of red, and the place is worked by up to four members of the same family that once had four generations in the kitchen. La Villa is the embodiment of the small family-run pizza and pasta neighborhood restaurants that used to dominate the Italian landscape. Started as a small take-out storefront in the early '70s owners Nicoletta and Salvatore Canale gradually built it out into a full-service shop that has been feeding Irving Park classic Italian comforts ever since. The best part? The original owners still work the kitchen, making everything from the sauce to the dough from scratch. 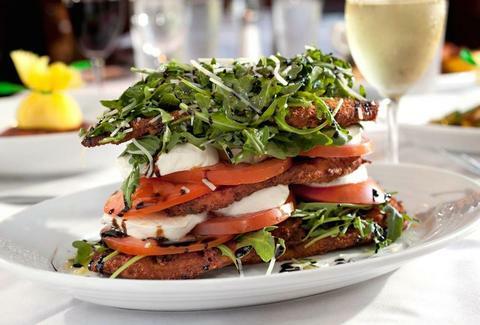 While other classic Italian spots may exude a more homey vibe, Orso’s is a throwback to an era when Italian dining was one of the only high-end “ethnic” options in town. Around since before most of the Old Town crowd was even born, Orso’s swings for an old-world Italian elegance with its elaborate carved wood and copious chandeliers. The food however is pure Chicago Italian, with bowls of drowned gnocchi and plates of chicken Vesuvio giving diners a welcome respite from the rash of trendier options throughout the neighborhood. While other long running Italian spots might stand behind their adherence to a dozen recognizable dishes Calo carries the torch for another kind of mostly gone restaurant, a place where the steak and the ribs are as much of a draw as the great pizza or veal saltimbocca. Massive menu aside Calo has stayed alive and thriving by changing very little about what makes them great even while the neighborhood had transformed around them; recipes passed down from father to son, affordable prices, and an ideal location in the heart of Andersonville.